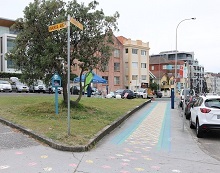 To create an active and vibrant place, the triangle site at the corner of Warners Avenue and Campbell Parade is now home to an active transport Urban Intervention. A colourful footpath artwork Concrete Carpet was created on the site by local artist Alice McAuliffe. This playful installation encourages children to walk to school while introducing colour to the streetscape. Children can be seen jumping from flower to flower along the footpath of Campbell Parade. The site was activated with a Bike Week Event promoting cycling in Waverley. Waverley’s first Little Library box has been installed on the Warners Island site. It is filled with books from the Library for a street book swap.Look out for more Little Libraries popping up in Waverley. 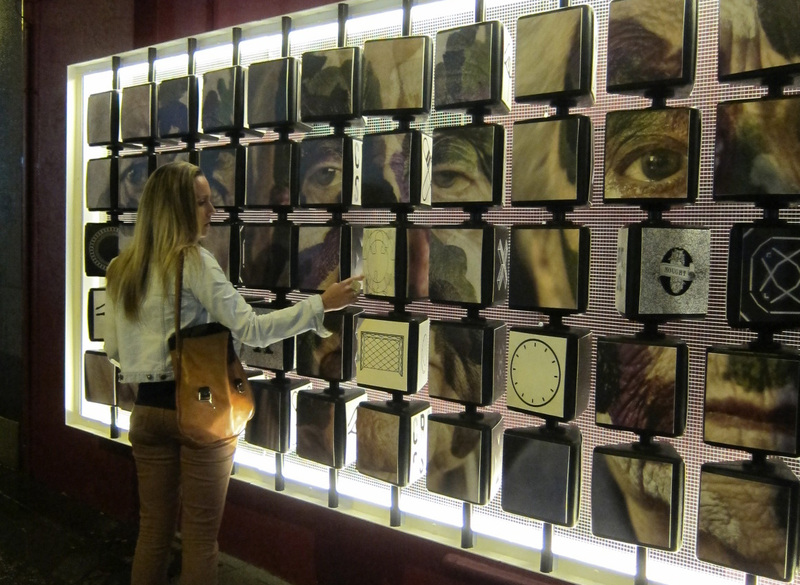 Jigsaw, on the corner on Gray Street and Bronte Road, is a fun and interactive public art, games and lighting installation designed by Archrival. 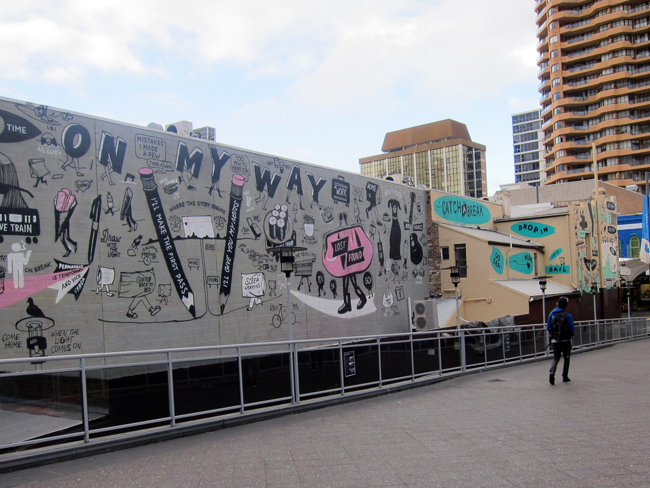 With way finding artwork to highlight the pedestrian link to Hollywood Ave, passers-by can also play a game of noughts and crosses or check out some inspiring artwork of members of the Bondi Junction RSL. 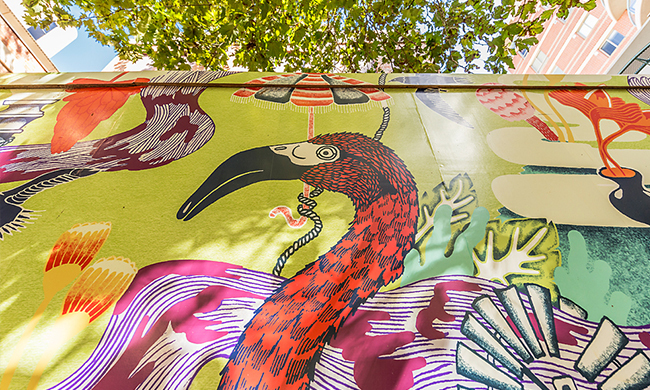 A public art mural has been created adjacent to the Rowe Street pedestrian ramp. The artwork was a collaboration between international artist ESPO (Stephen Powers) and the Sydney gallery China Heights. The mural improves the look and feel of this important entrance to Bondi Junction, providing interesting dialogue for commuters entering and leaving the transport interchange. A public table tennis table has been installed in Norman Lee Place to activate the space and provide public recreation for a range of local residents. The table is free-to-use, weather-proof and has been painted by well-known artist Mulga. 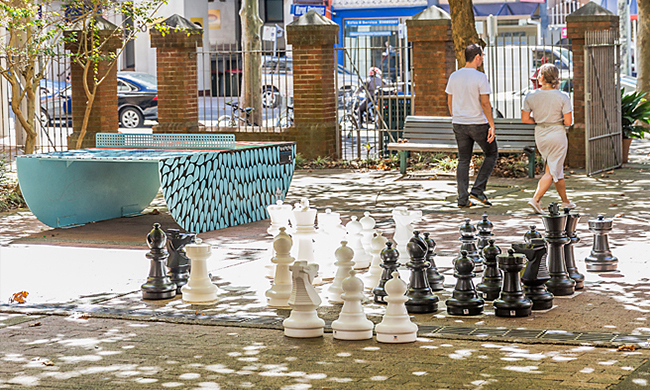 The giant chess set has been relocated to Norman Lee Place. It is free to use and fun for all ages. Local artist JUMBO (ABW Display) has designed and installed a large mural artwork on the surface of the new hoarding around the Boot Factory. The artwork reflects the heritage significance of the area while providing colour and interest to the public square. The temporary bike hub is a sustainable transport initiative for Waverley. One car takes up the same space as ten bikes!!! Cycling to work not only improves health and wellbeing but also reduces traffic on Sydney’s busy roads. The installation has been very popular with local cyclists and is regularly seen filled with bikes. The bike hub will move locations later this year. After four years, the Urban Lounges on Spring Street have reached the end of their design life and are in need of an upgrade. 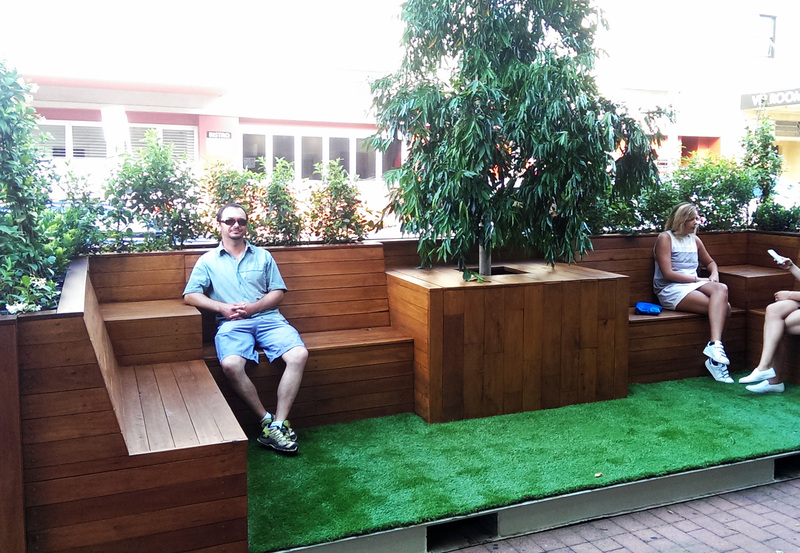 As part of the cycleway and streetscape upgrades to Spring Street, new Parklets will replace the existing Urban Lounges. 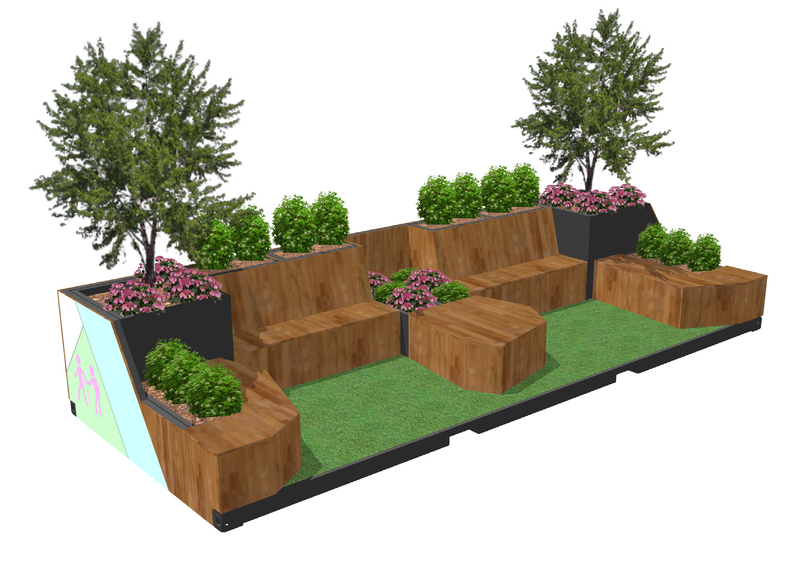 The new Parklets will provide seating and planters and will replace the Urban Lounges in the short term. Parklets are small accessible public spaces that encourage walkable streets, green spaces, and interactive communities which contribute to a healthy built environment for everyone. They take up one car space with public seating and planting. 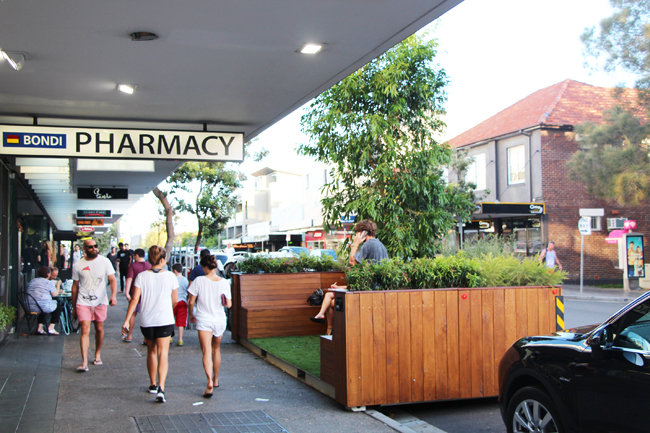 The Bondi parklet will be moved around the Bondi area to be fair and equitable to local businesses. 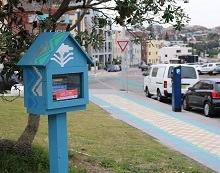 It will be relocated to a new parkling space in Bondi every six months for the next two years. It is currently located on Curlewis Street. A second parklet has been temporarily placed on Bronte Road in Charring Cross. The installation aims to activate the street and create a more inviting destination for the community. The parklet will be placed outside Earth To Table, on Bronte Road, for the next six months.